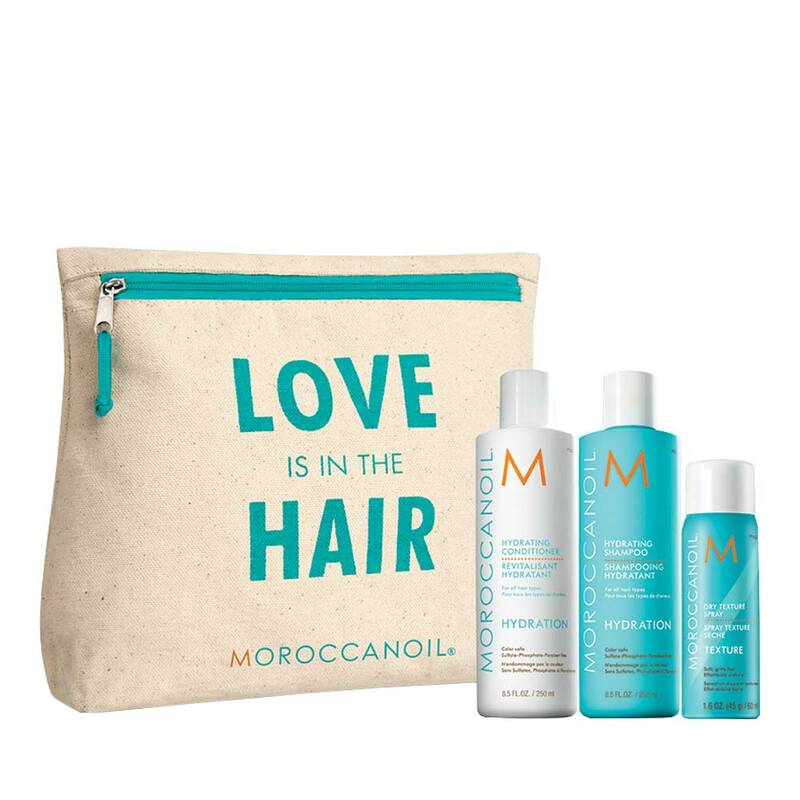 The Moroccanoil Love is in the Hair Hydration set is perfect for those with dry, damaged hair. The shampoo gently cleanses and moisturizes hair. Making hair feel smooth and manageable. The hydration conditioner conditions dehydrated hair. All products are infused with argan oil to help hair feel silky and look shiny. The Dry Texture Spray helps to create hold with a gritty feel for an undone style. Directions: Shampoo on wet hair. Lather. Rinse. Apply Moroccanoil Conditioner. Leave on up to 2 minutes. Rinse. Apply texture spray on dry hair to create desired style.